If you need to point to one area where Dragon Ball Super truly does shine it is the spectacle revolving around everything it does. Very few series have gotten the spectacle of a battle anime down so well. Paired with that is hype, Dragon Ball Super is very good at hyping things up. Likely contributing to it being among the most watched anime every week for the better part of two years now. Dragon Ball Super is both exciting and eminently able to be talked about. 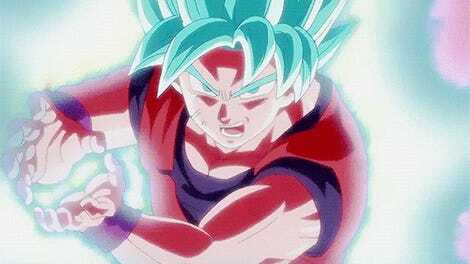 On Dragon Ball Super "Ending"
The issue that comes with playing up expectations of course is that they may not be met. For every action one hypes up and succeeds in matching it, the next hype cycle must be higher still. This requires a level of spectacle that eventually can not be reached. Of course this being Dragon Ball where the most hyped actions are always transformations, sitting atop this is the Saiyan transformations. Ever since Super Saiyan was revealed more then two decades ago a Saiyan’s first transformation is a special thing. As such when Toei and Dragon Ball Super teased a special transformation for Vegeta in last weeks preview, people were obviously excited. 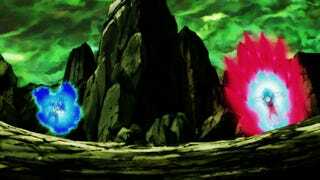 As unlike Goku who through Supers run time has debuted four new forms, Vegeta had only showed one non-original form and seemed comparably weak to Goku by this point in the series. It was the Princes time to shine baby! What did we get out of all this build, that took place almost one hundred episodes after Goku’s Super Saiyan Blue Kaio-Ken. Did Vegeta finally get a match worthy of the Prince and best character in the series? Um... I guess it depends on your view... as Limit Break Vegeta (unofficial name) quite frankly failed to lived up to the hype in my opinion. Why do I feel this way? Well lets be honest, this is hardly a new form. In fact Limit Breaker Vegeta is likely the most stale Super Saiyan transformation to date in Super, in both form and function. Its emotional genesis seems to be Vegeta’s promise to resurrect Cabba and his friends (comrades?) from Universe Six. This is a radical (and welcome) departure from Vegeta of the past, who until recently only wished power for powers sake and to surpass Goku - showing Vegeta’s growth throughout the end of Z and Super. This time he is doing it for somebody else sake. However in this being the catalyst for his power up, it is kind of stale as quite frankly its been done a number of times in more effective fashion. Check out Gohan’s Super Saiyan Transformation or Future Trunks as examples. Beyond that, Vegeta’s transformation felt very akin to Goku’s first Super Saiyan transformation but without the gravitas attached to the scene. Again unlike Goku’s Ultra Instinct form or Super Saiyan Blue Kaio-Ken, Limit Breaker Vegeta is not very distinct from Super Saiyan Blue. It even took multiple characters confirming to the audience this was indeed different and superior to Super Saiyan Blue. Do not get me wrong there are physical differences which I will say make Vegeta look better, however these differences are not exactly wowing in the same way Ultra Instinct did. This is due to the fact Limit Breaker Vegeta looks almost a one to one copy of Ascended Super Saiyan Vegeta during his fight with Perfect Cell. His musculature is much more defined, his aura more wild, and he has even taken the same hunched posture he uses in that form. All around it is not what you would call distinct. For a long time fans of Dragon Ball assumed Super Saiyan Blue was a powered up version of the original Super Saiyan, therefore it stood to reason it could have grades and ascended forms like the original. This seemed to be put on hold with the radically different Ultra Instinct form debuting a couple months ago. However, with Limit Breaker Vegeta’s introduction the idea of just ascending through Blue looks like a valid option again. By making this stylistic link to Dragon Balls past Limit Breaker Vegeta still looks lesser in comparison to Ultra Instinct. As we know that like Ascended Super Saiyan something better is likely just around the corner. 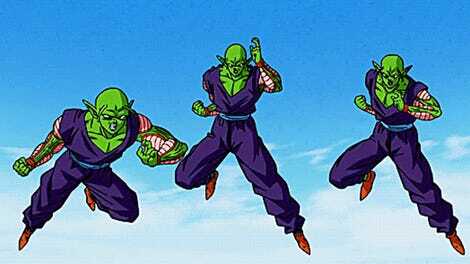 As this is a callback to a form that had functional use in the original for about seven episodes before Perfect Cell brought it too its knees. 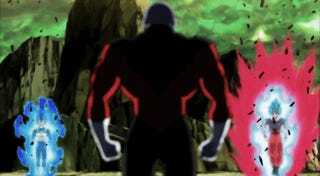 An action that was mirrored last week in Vegeta and Jiren’s fight. In short while it was beautifully animated, Limit Breaker Vegeta emphasizes the issues with the hype and spectacle cycle of Dragon Ball. Eventually you just cannot top yourself. There comes a point where it becomes tiring to watch transformation after transformation and we may be reaching that point with the Tournament of Power. After over a year of hype and build up with some extreme highes and some pretty low lows, the Tournament of Power the most hyped arc in Super is slowly coming to a close. In these last few episodes I hope we see more interesting changes like Ultra Instinct then we do Limit Breaker Vegeta. Dragon Ball Super - The Moment We Have Been Waiting For! Ultimate Gohan Returns!